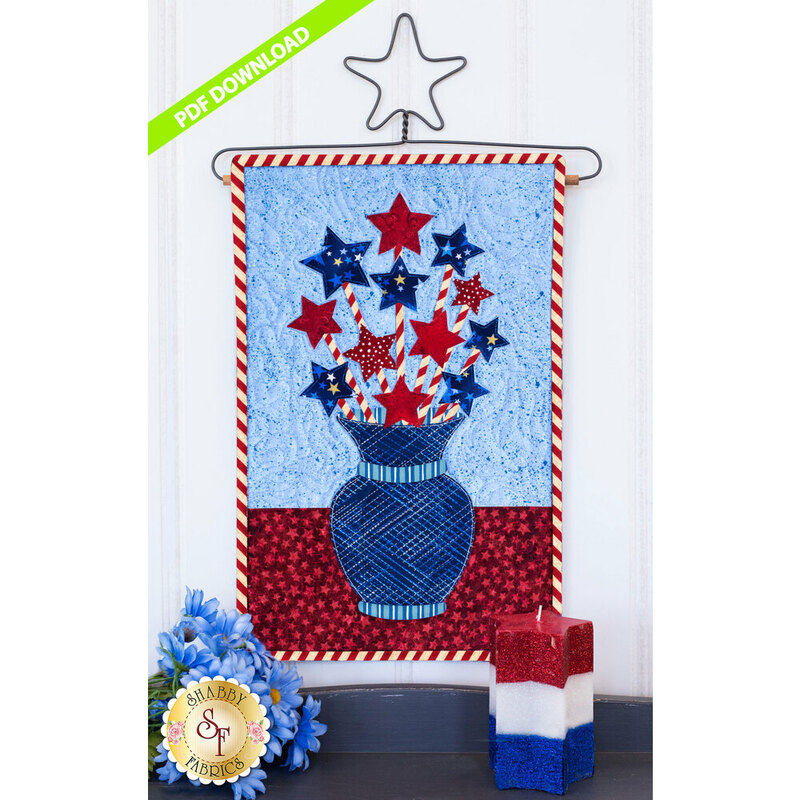 The red, white, and blue stars are a fun way to switch up the “blooms” in this month’s wall hanging. Pay homage to your country, a family member, or friend, with this fun and festive applique bouquet. The shimmery accents are our favorite touch.